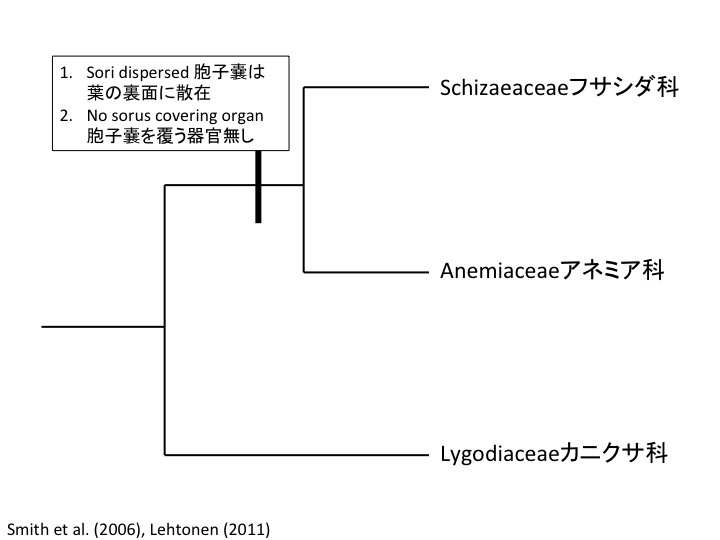 Why is the position of annulus conserved in the Schizaeales? 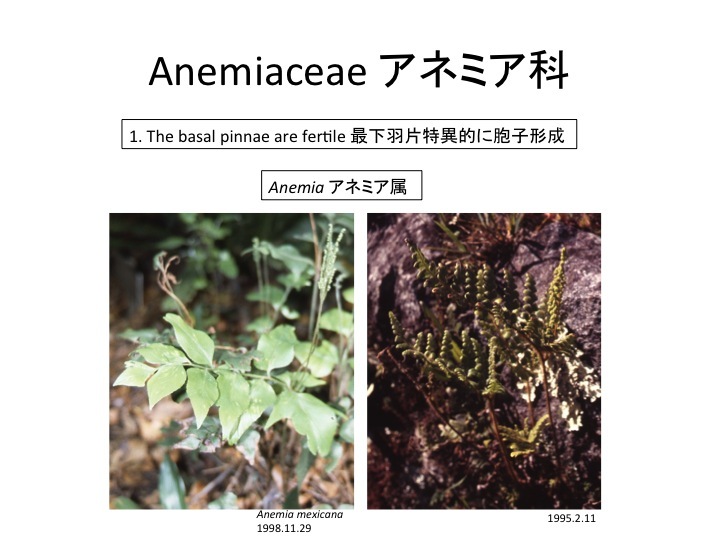 Even in other groups of ferns, the position of annulus is well conserved in a family or order. 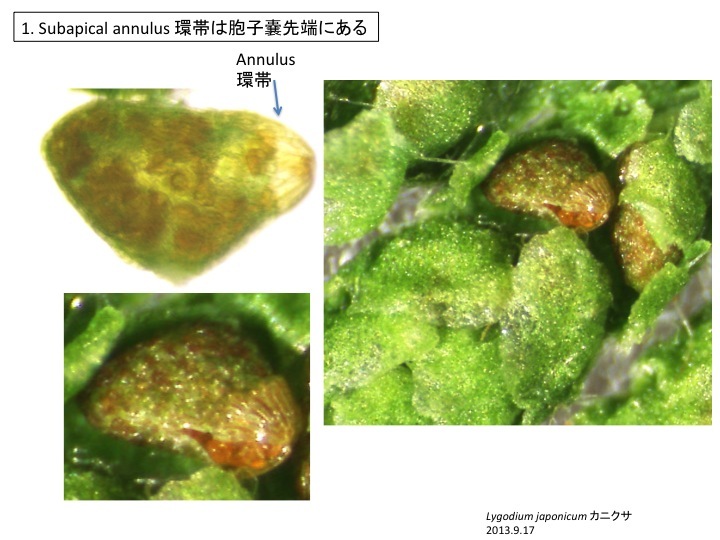 Annuli look simple at a glance but the function to open a sporangium and disperse spore should be nicely adjusted. So it may be difficult to accumulate mutations causing slight change to the annulus position, which makes the mutants to be less adaptive than their parents. 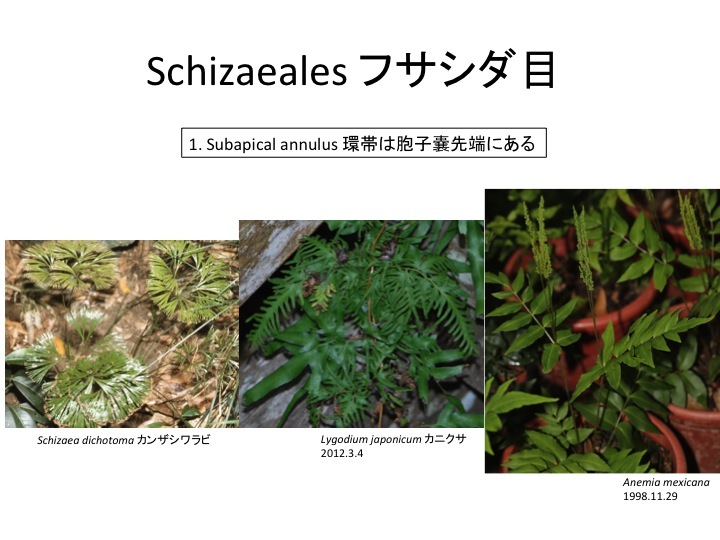 The annulus position of the Schizaeales may be at the top of local adaptive optimum and may not be shifted. Anyway, the molecular mechanism to regulate the annulus positions are not known at all and future study will give insight on the evolution of the position. 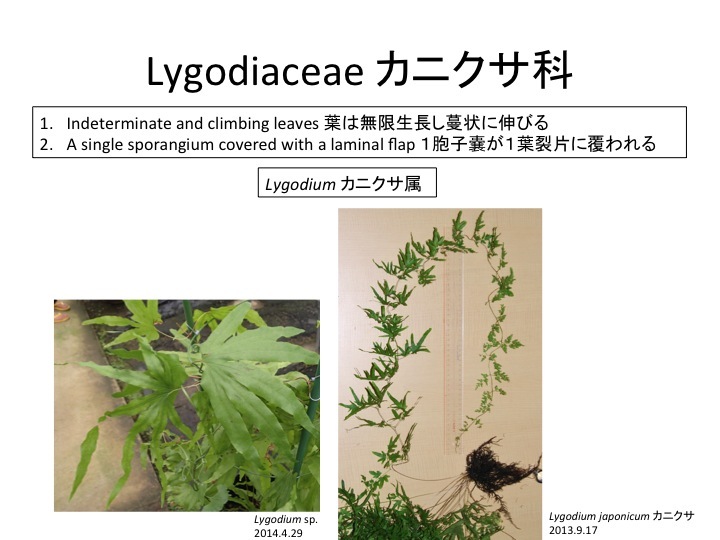 Many mycorrhiza by arbascular mycorrhizal fungi were formed on roots of Lygodium japonica. 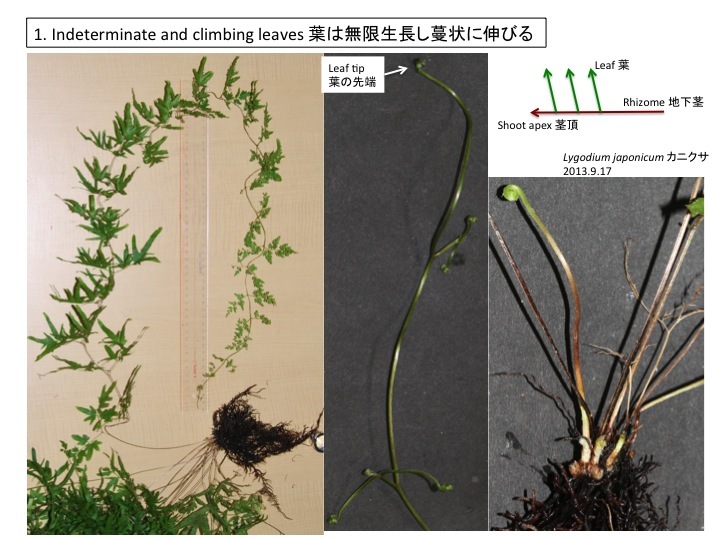 Higher phosphorus uptake and better growth with the symbiosis is reported in L. microphyllum (Soti et al. 2014). 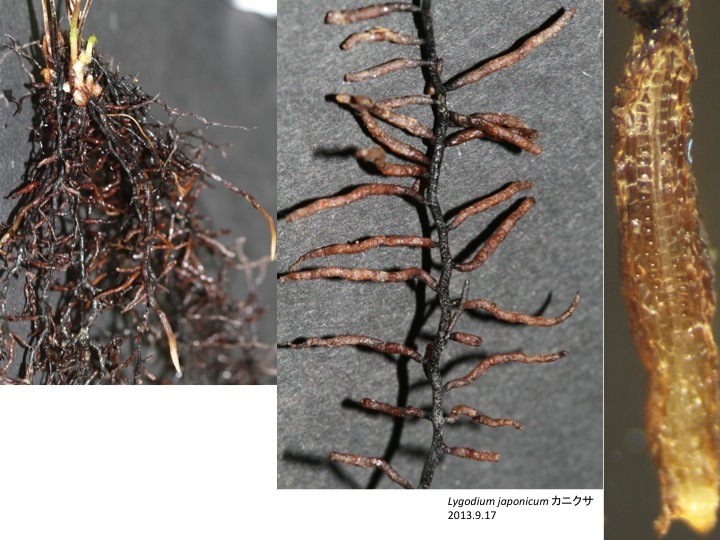 Symbiosis between plants and arbascular mycorrhizal fungi was originated at the early stage of land plant evolution and many pteridophytes form mycorrhiza. Soti, P.G., Jayachandran, K., Purcell, M., Volin, J.C., and Kitajima, K. 2014. 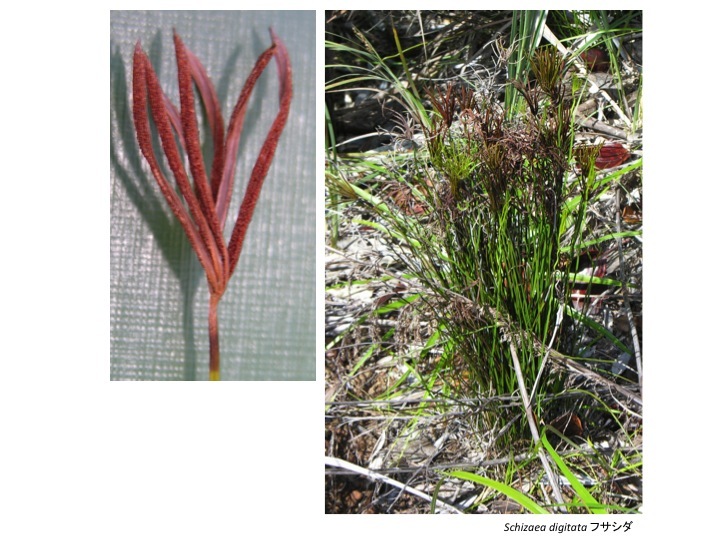 Mycorrhizal symbiosis and Lygodium microphyllum invasion in South Florida – a biogeographic comparison. Symbiosis 62: 81-90. Wang, B. and Qiu, Y.-L. 2006. 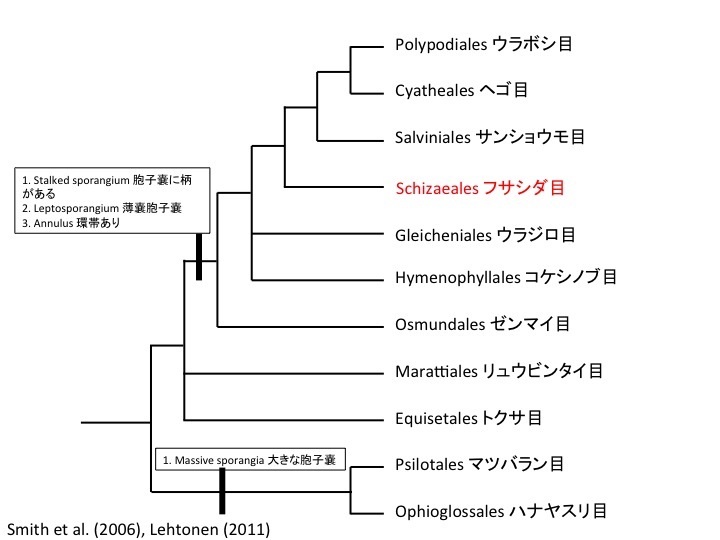 Phylogenetic distribution and evolution of mycorrhiza in land plants. Mycorrhiza 16: 299-363. 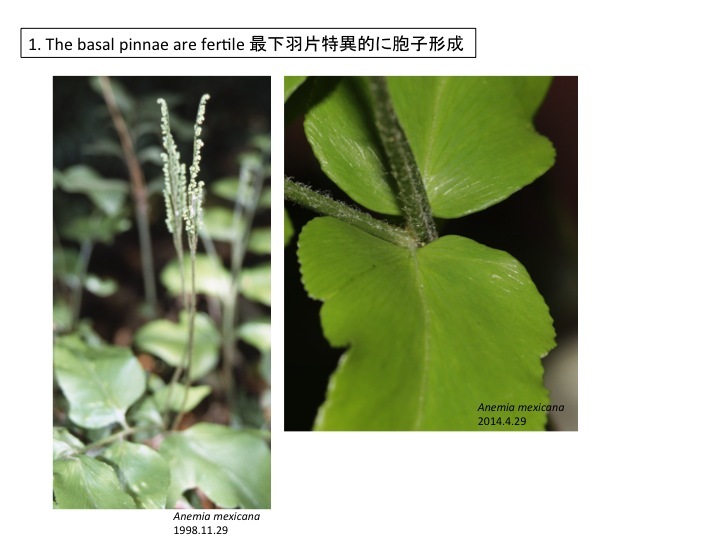 A pair of basal pinna becomes fertile and bears sporangia. 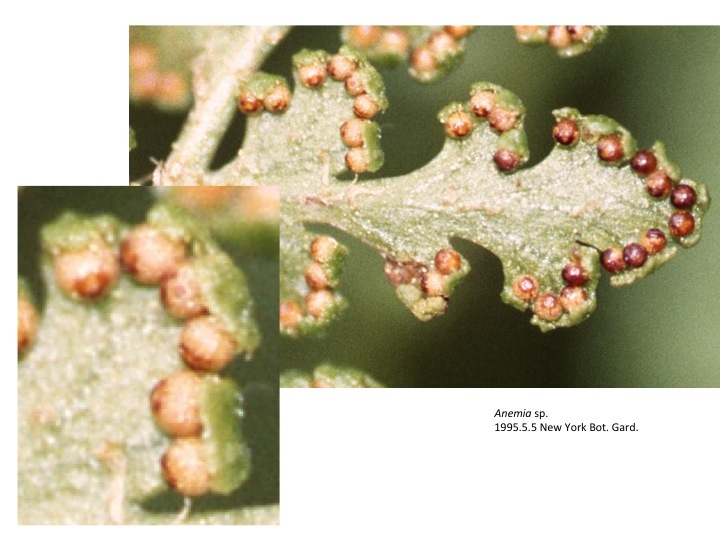 It is often observed in ferns that a part of pinna become fertile but quite unique that fertile pinna become upward. 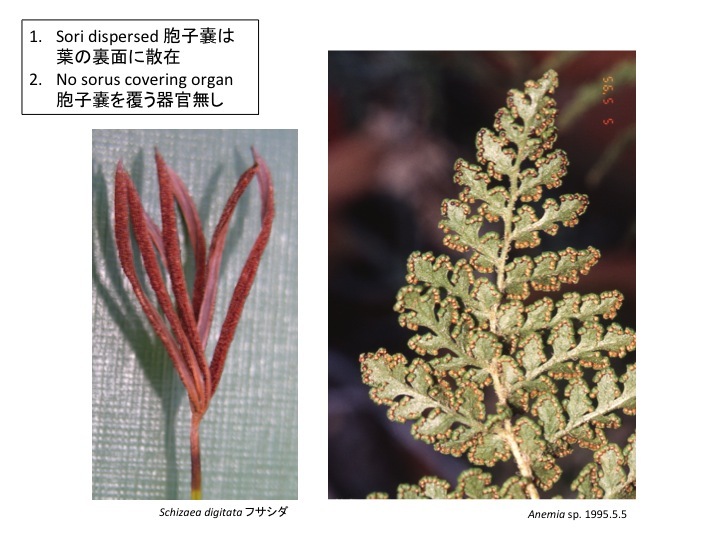 The mechanism to form such more complex leaf shape is still unknown. 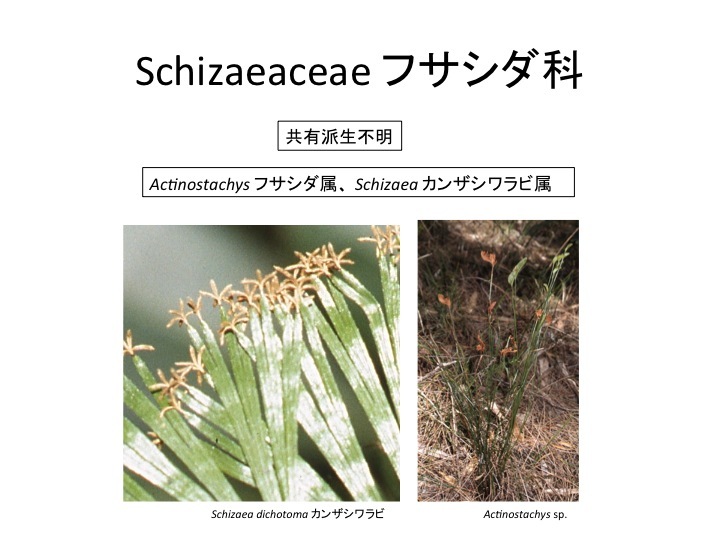 A petiole and a lamina are not distinguishable in leaves of the Schizaeaceae. 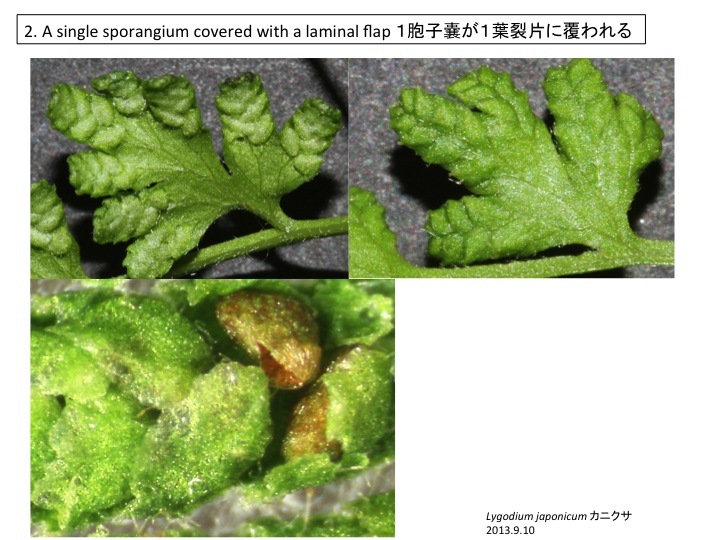 Several fertile pinna bearing sporangia are formed at the tips of a leaf.